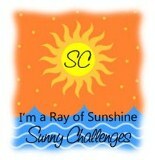 It is with much pleasure that we announce Kathryn as our Ray of Sunshine for this week. 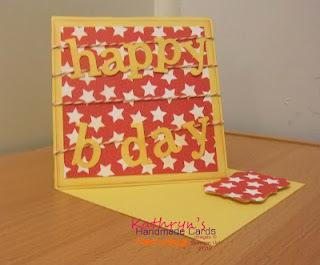 Kathryn created a Twisted Easel Card. Kathryn, please feel free to grab our badge & post to yout blog. Thank you to all the lovely entries, we really enjoyed looked at the different folds. Great choice ladies. Kathryn did an outsatanding job on this card.